Turn WMF to PDF page layout files online and without ads! Use a WMF to PDF Online Converter or take the batch Tool for more! Description WMF is a vector graphics file format featuring bitmap components and running on 16-bit operating systems. 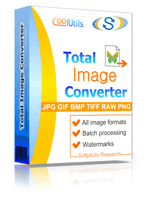 Files comprise a set of function calls, which command vector graphic and bitmap operations, such as drawing lines and other graphic elements, as well as vector images and sometimes raster graphics. The format was introduced with Windows 2.0 in 1988 and is still backed by some Windows applications, such as Windows Photo Viewer. Right now, WMF is less widely used, as it has been pretty much supplanted by JPEG and GIF.